Dr. Richard Jonas shows surgical advancements using 3D heart models, which participants could bring back to their host institutions. On July 22, 2018, more than 700 cardiac specialists met in Orlando, Fla. for the Sixth Scientific Meeting of the World Society for Pediatric and Congenital Heart Surgery (WSPCHS 2018). The five-day conference hosted a mix of specialists, ranging from cardiothoracic surgeons, cardiologists and cardiac intensivists, to anesthesiologists, physician assistants and nurse practitioners, representing 49 countries and six continents. 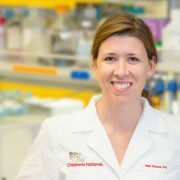 To advance the vision of WSPCHS – that every child born with a congenital heart defect should have access to appropriate medical and surgical care – the conference was divided into eight tracks: cardiac surgery, cardiology, anesthesia, critical care, nursing, perfusion, administration and training. Richard Jonas, M.D., outgoing president of WSPCHS and the division chief of cardiac surgery at Children’s National Health System, provided the outgoing presidential address, delivered the keynote lecture on Transposition of the Great Arteries (TGA) and guided a surgical skills lab with printed 3-D heart models. 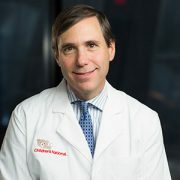 Gil Wernovsky, M.D., a cardiac critical care specialist, presented on the complex physiology of TGA, as well as long-term consequences in survivors of neonatal heart surgery, including TGA and single ventricle. 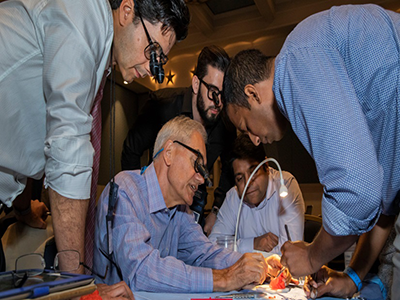 Participants left with knowledge about how to diagnose and treat complex congenital heart disease, and an understanding of the long-term consequences of surgical management into adulthood. In addition, they received training regarding standardized practice models, new strategies in telemedicine and collaborative, multi-institutional research. 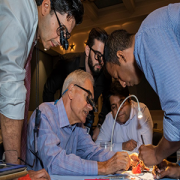 “It was an amazing experience for me to bring my expertise to a conference which historically concentrated on surgical and interventional care and long-term follow-up,” says Dr. Donofrio. 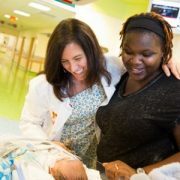 “The collaboration between the fetal and postnatal care teams including surgeons, interventionalists and intensive care doctors enables new strategies to be developed to care for babies with CHD before birth. Our hope is that by intervening when possible in utero and by planning for specialized care in the delivery room, we can improve outcomes for our most complex patients”. 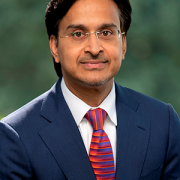 The Johns Hopkins University School of Medicine, Florida Board of Nursing, American Academy of Nurse Practitioners National Certification Program, American Nurses Credentialing Center and the American Board of Cardiovascular Perfusion provided continuing medical credits for eligible providers. Can a vaccine prevent the earliest forms of rheumatic heart disease?